"We simply could not have done this without your most generous assistance"
The ladies of the auxiliary would like to thank you for volunteering your time to make this yearâ€™s fundraising event such a success. The value of your willingness to donate your time and expertise to this endeavor is incalculable. 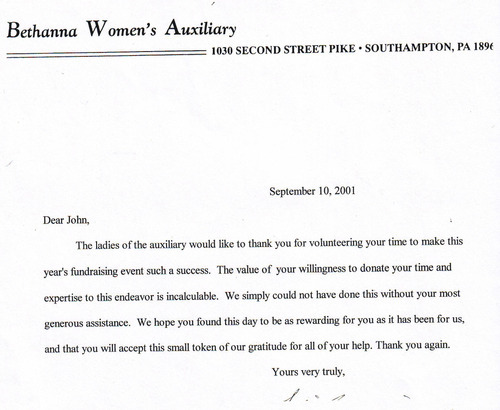 We simply could not have done this without your most generous assistance. We hope you found this day to be rewarding for you as it has been for us, and that you will accept this small token of our gratitude for all your help.